Marti’s three-course prix fixe dinner menu is perfect for theatergoers who want to savor a relaxed dinner before the curtain rises. There’s an extensive wine list and a selection of contemporary cocktails to complement your meal. And the Sunday brunch at Marti’s is one of Fort Lauderdale’s best kept brunch secrets. 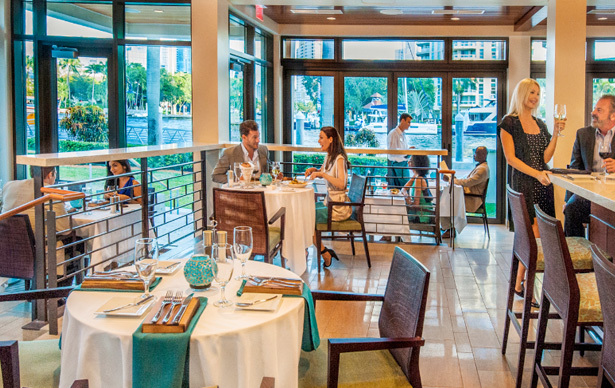 Served from 10 am – 2 pm, Sunday brunch at Marti’s is ideal for those attending a matinee, seeking a waterfront experience along the Intracoastal, or planning an outing with friends and family. It’s also a perfect place to celebrate a special occasion! Indulge in traditional favorites served with a modern twist. With indoor and outdoor seating, the setting of this riverfront find can’t be beat. For reservations call 954.660.6333 or book on OpenTable. While reservations are encouraged, walk ups are welcome.